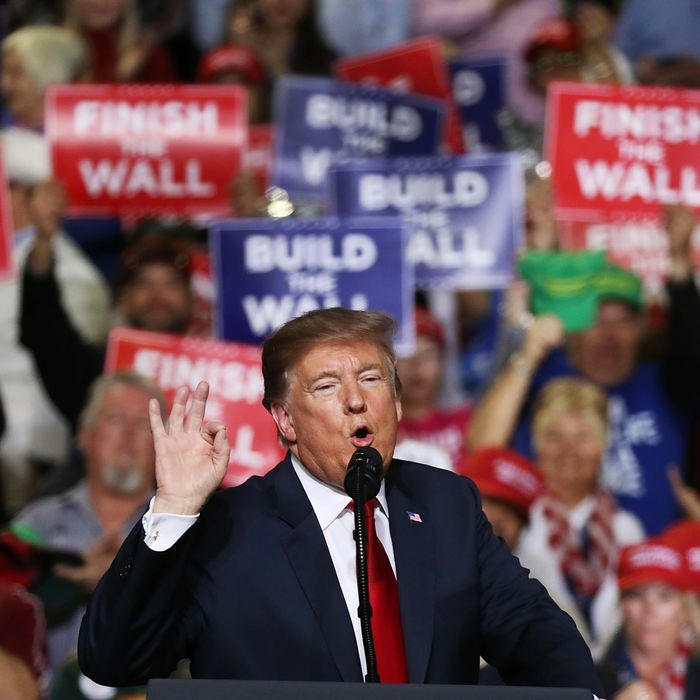 In the first quarter of 2019, President Trump raised a self-reported $30 million for his reelection campaign, blazing past the fundraising totals of Democratic candidates. It appears his plan to file reelection paperwork on the night of his inauguration has paid off: In addition to the $30 million raised by the campaign, the Republican National Committee has reportedly raised $46 million for their 2020 candidate. According to RNC chairwoman Ronna McDaniel, the campaign’s had eight seven-figure days in 2019 and 100,000 new donors since January. With their donor bases intact and no primary challengers to split up donors, incumbents enjoy natural fundraising advantages; still, Trump is significantly outpacing his Democratic rivals. As NBC News notes, Trump raised more in the first quarter than the top two Democrats combined — Bernie Sanders with $18.2 million, and Kamala Harris with $12 million. In total, the eight Democrats who have reported their first-quarter numbers have raised a combined $65.8 million, far less than Trump’s $82 million total of his own fundraising and the RNC money.